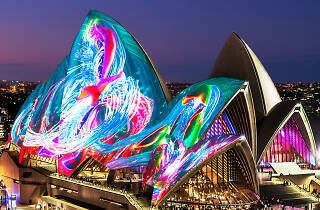 Let’s face it: Vivid Sydney is all about the Sydney Opera House sails. Other elements come and go, but it’s images of those sails that go out around the world and rake in the sweet, sweet tourism dollars. This time around, the lighting honour goes to Andrew Thomas Huang, a Los Angeles-based artist who directed several Björk videos. His work for the sails is called ‘Austral Flora Ballet’, and features native flora (which yes, was also the inspiration for the sails last year) moving like a dancer performing across the sails. You’ll see kangaroo paws, red beard orchards, waratah and other native species in a colour pallet of movement based on choreography by Toogie Barcelo, performed by dancer Genna Moroni. 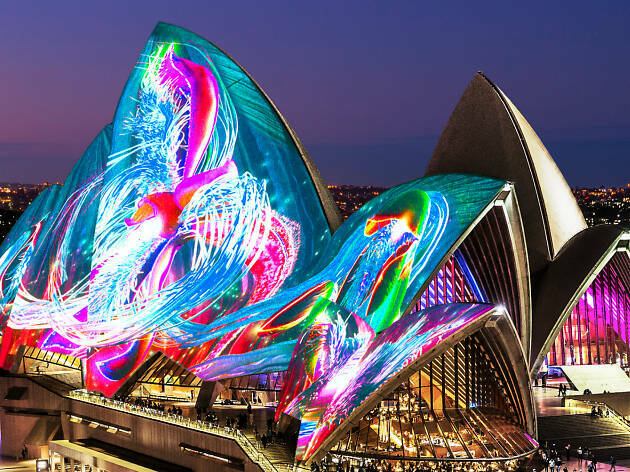 The fluid, arching movements are an ode to the architectural design of the Opera House sails, and will produce a ballet of personified bouquets come Vivid time.